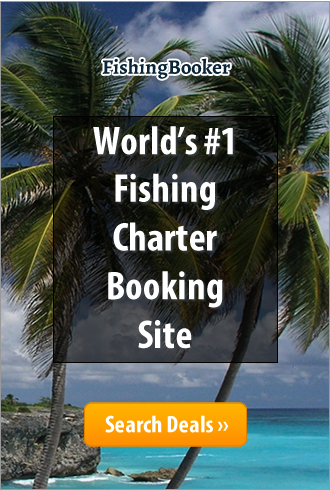 Punta Cana, La Altagracia - Big Marlin Deep Sea fishing charters. 42' private yacht is parked in the beautiful place of Punta Cana - Bavaro. Big and and modern fishing boat Ocean Super Sport always very clean and perfectly equipped with top class equipment. Come and fish with us for trophy size Blue Marlin, Atlantic Sailfish, Yellowfin Tuna, Barracuda, Mahi Mahi, Wahoo. Experienced local captain. Of course, there are options, but only at Big Marlin Charters you will fish on the beautiful professional yacht, perfectly equipped and maintained. We use top class rods and reels, tackle and fresh bait. We always aim for successful fishing trip! We consider it to be our duty make sure you go to the shore with a great catch. P.S. Company's private van for hotel transfer is available and included. Virginia Beach Fishing Charters - Join Captain Troy of Seaduction Charters for an outstanding day of Virginia Beach Sport Fishing for tuna, marlin, dolphin, striper, and much more. Extreme Athletic Sportswear - Are you ready to sport extreme sportswear? Devilwear is for the x-games generation featuring the wildest most awesome designs the ho-hum sportswear companies are afraid to market! Chesapeake Beach Fishing - Join Kyran Lynn Charters and Captain Marty Simounet for an exciting day of Chesapeake Beach fishing for striper, drum, and other Chesapeake Bay game fish. Fort Lauderdale Drift Fishing - Offers Fort Lauderdale and Miami deep sea fishing charters aboard the Lady Pamela 2 sportfishing boat skippered by Captain David Ide. Chesapeake Beach Charter Fishing - Enjoy a day of Chesapeake Beach striper fishing, spot or croaker fishing, and fishing for other popular Chesapeake Beach species with Captain Stacey Witherow of Mary Ellen charters. Chesapeake Bay Striper Fishing - Enjoy a day of Chesapeake Bay striper fishing with Captain Jeff Adams and Providence 2 charters. Tampa Bay Fishing Charters - Come enjoy a day fishing the waters of Tampa Bay for redfish, snook, and more aboard the AllCatch with Captain Gary Burch and his Tampa Bay fishing charters. Miami Fishing Charters - Come enjoy a fun day of charter fishing in Miami Florida catching sailfish, dolphin, or wahoo with Captain John D'Anduono aboard the Lucky 7 fishing boat.